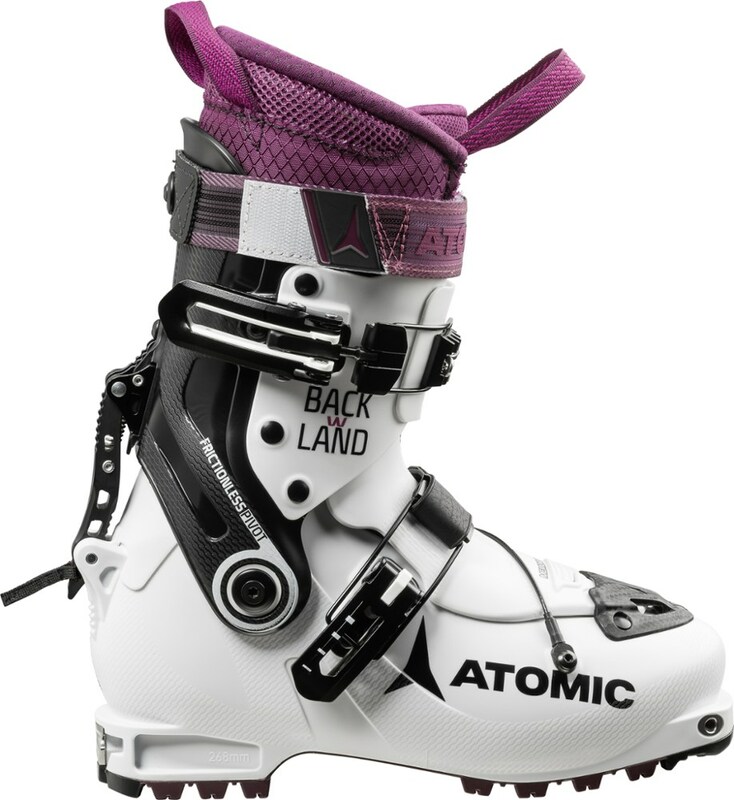 Gals like to tackle the same terrain as guys, but that doesn't mean they should have to use men's boots to do it. 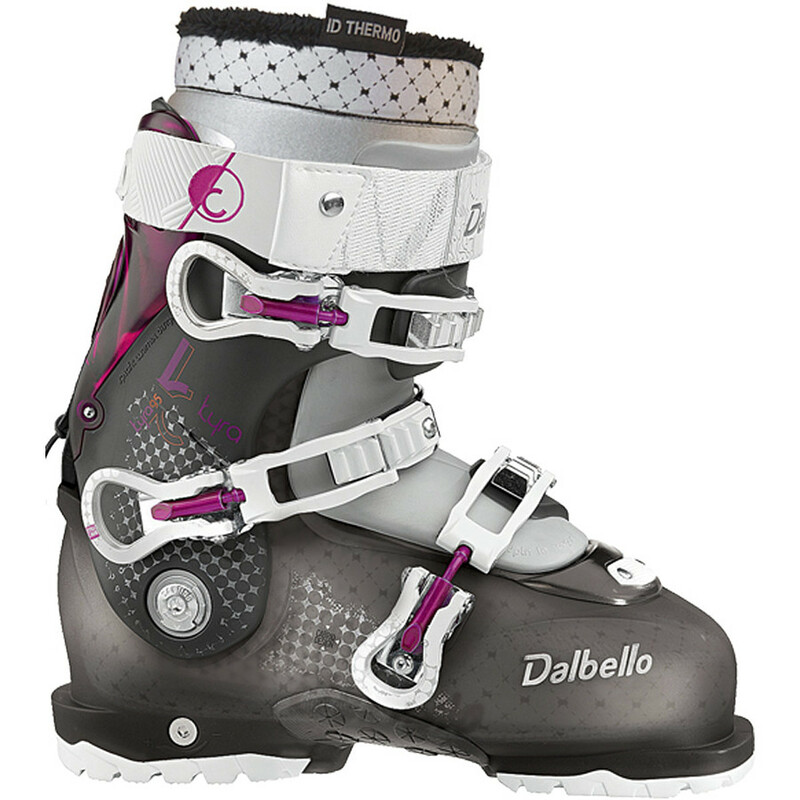 Luckily, the Dalbello Kyra 95 I. D. Women's Ski Boot offers all the comfort and performance you need to handle the whole mountain, in a comfortable package that's designed specifically to fit a lady's feet. 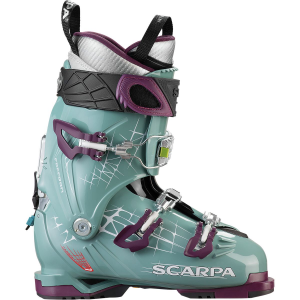 It all starts with the three-piece Cabrio Design Architecture, which employs stiff plastic in the cuff and lower shell along with a gently-flexing tongue, so you'll have plenty of lateral stiffness but a smooth, easy forward flex that, along with the Kyra's 95 flex rating, gives you a comfortable and forgiving ride in any terrain. 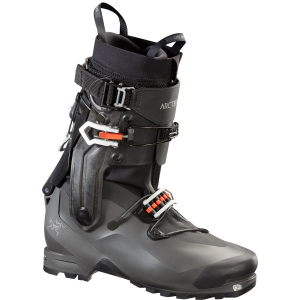 The Kyra also features a Split-Fit tongue, which uses a unique sliding design to accommodate different calf shapes and make taking your boots on and off so easy it's almost scary. The hits keep coming, though, starting with the Kyra's Contour 4 shell fit and I. D. Thermo Now liner, which work in conjunction to fit comfortably around the bones of your foot with minimal modification. 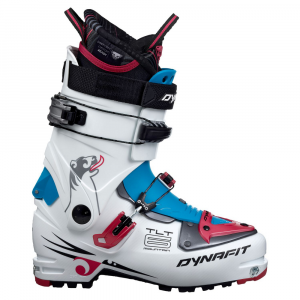 Complemented by the adjustable Low Contour Profile cuff, adjustable flex, and adjustable canting, this lets you dial in the Kyra's fit to suit your anatomy, meaning you can ski comfortably from bell to bell without stopping to bring your feet back to life. All this comfort doesn't come at the expense of performance, either, as the Kyra still features a center-balanced stance designed to handle today's new-school skis, a Dynalink rearfoot retention system that provides serious heel hold without compromising flex, and a rubber-clad sole with replaceable toe and heel lugs to make traversing slick parking lots a no-stress proposition. 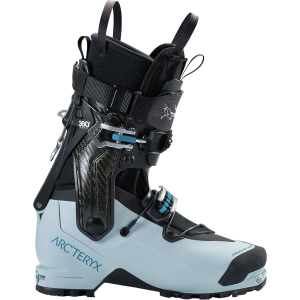 There's even an easy-to-use ski/hike mode switch, so you can take short hikes to powder stashes without struggling against your boots. The Dalbello Kyra 95 I.D. is not available from the stores we monitor. 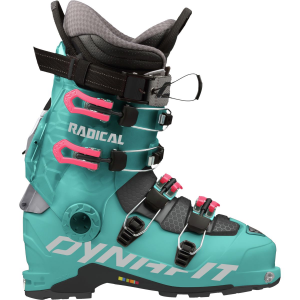 It was last seen May 24, 2015	at Backcountry.com.